In the beginning their was a poem, a painting, and a vision. Although engineers live in a world of facts and figures, NC State’s Department of Biological and Agricultural Engineering owes much of its strength to a painting and a poem. 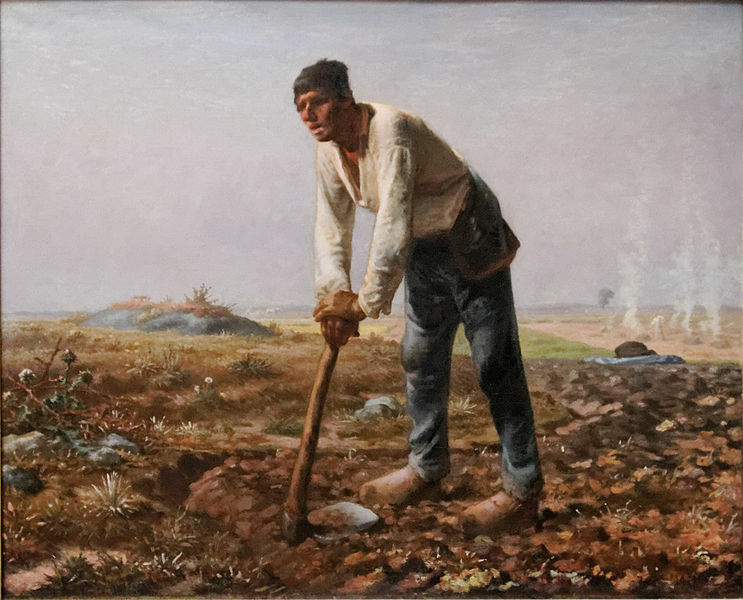 The painting is “Man with a Hoe” by French artist Jean Francois Millet (1814-75). The poem, also titled “The Man With A Hoe”, is by the American poet Edwin Markham (1852-1940). Professor Wallace Giles, who headed the department from 1948 until his retirement in 1961, described how his predecessor, David S. Weaver, helped to parlay these two works of art into a strong department. Weaver used them to tug at the heart strings of then (consolidated) University of North Carolina President Frank P. Graham, who was known for his humanitarian impulses. Giles remembered Graham’s visit to NC State’s campus in the 1930s and that Weaver had an opportunity to visit with him in private in his third floor office in Ricks Hall. Instead of pumping the university president full of technical data about agricultural engineering, “Weaver firmly implanted in his mind forever the need to reduce drudgery on the farm,” Giles recalled. His “teaching tool” was Millet’s painting of a gaunt farmer bent over a grubbing hoe, which Weaver always kept hanging in his office. He also called Graham’s attention to Markham’s poem, which Weaver kept in a corner of the painting. From that day forward, Graham was just as committed as Weaver to relieving drudgery on the farm. From a smattering of service courses, a full-fledged Department of Agricultural Engineering was created in 1939-40 with Weaver as its head. When Weaver left the department in 1948 to become assistant director and then director of the Agricultural Extension Service, he took Millet’s painting and Markham’s poem with him. After his retirement in 1961, he returned it to the department. 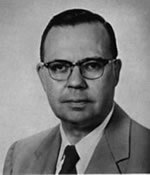 They are now kept in the office of Dr. Francis J. Hassler, the third person to head the department in its 47-year history. Governor Robert W. Scott used the poem as a basis for his remarks in 1970, when he helped to dedicate the agricultural engineering building as Weaver Laboratories in his honor. Giles told the story of Weaver and Graham at the Spring Meeting of the N.C. Section of the American Society of Agricultural and Engineers. He described Graham’s support as one of the nine most important events in the history of the department. According to Giles other important milestones include the acquisition of an adequate physical plant, the introduction of science in the teaching and research programs, the willingness of administrators to stand up for faculty support, involvement in international programs, the joint administration by two schools (CALS and engineering), programs to recognize excellence on the part of the teaching and extension faculty, the inclusion of extension within the department, and changing the name from agricultural engineering to biological and agricultural engineering. The poet Edwin Markham was so taken by Jean-Francois Millet’s painting of a brutalized farm worker that he wrote a poem about it. 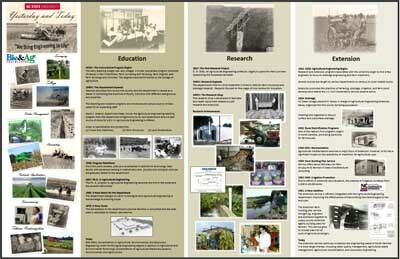 Below is the full history of the department as written in 1976. The department celebrated it’s 75th Anniversary in 2010. See the commemorative video “75 years of NC State BAE” (bae-video-transcription). Full size history poster The department celebrated it’s 75th Anniversary in 2010. See the commemorative video “75 years of NC State BAE” (bae-video-transcription).